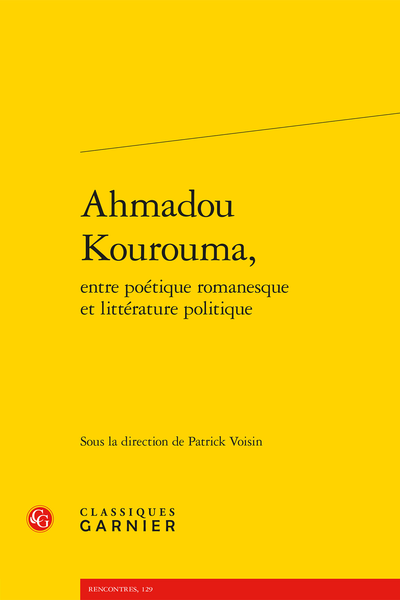 Abstract: Ahmadou Kourouma made the decision to write engaged literature. But is engaging with politics in literature a case of confusing genres? With the passing of time, his first novel has taken on a new patina: it has become a literary occasion in itself, rather than literature for an occasion. Où a-t-on vu Allah s’apitoyer sur un malheur ?